Jimmy KingSo the shortlist for the 2013 Mercury Prize – awarded to the best British or Irish album of the year – was announced the other day, and contrary to the odds reported by NME earlier this week, London Grammar – favoured to win – was nowhere to be found. Nor, out of their top ten, were Steve Mason, Daughter, Primal Scream, or CHVRCHES. Not that I have any idea how bookmakers come up with their odds, nor how accurate they’ve been in the past. But to list an album at 15:8 to win and not even have it make the shortlist, well that’s some questionable prognostication. The ten records that did make the list are as follows, and I’m mildly surprised that I’ve heard more of these than I usually have – a fact which kind of supports those who complain that the Mercury has gotten safe or predictable. I’m personally pulling for Bowie, if you hadn’t guessed; the release of The Next Day instigated a year of Bowie discovery, which included a deeper appreciation for has last two records Heathen and Reality along with the more classic material and a pilgrimage to his old digs in Berlin (though that wasn’t the main reason for the trip, that would be ridiculous). 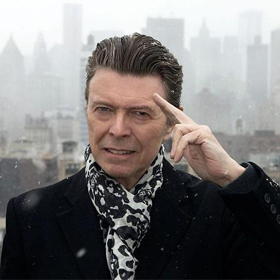 Plus there’s the David Bowie Is exhibit opening at the Art Gallery of Ontario later this month – let’s face it, this is the year of Bowie. The Mercury should just accept it and fall in line. The winner of this year’s prize will be announced on October 30. Oh, and Kevin Shields of My Bloody Valentine has some choice words for the Mercury Prize, and they’re not positive. The Guardian has that. Summer Camp’s Elizabeth Sankey takes Clash behind the scenes of the video for “Fresh”, taken from their just-released new record Summer Camp. NOW checks in with Arctic Monkeys, who kick off their North American tour on September 15 at The Kool Haus. The Skinny and philly.com get to know CHVRCHES, who play The Danforth Music Hall on September 15. Their debut The Bones Of What You Believe is out September 24. Filter talks to Elvis Costello and ?uestlove of The Roots about their new collaborative album Wise Up Ghost, which comes out September 17. Icona Pop have released a new video from their forthcoming kinda-but-not-really debut This Is… Icona Pop, out September 24. The Line Of Best Fit has a video session with London Grammar, who will be at The Great Hall on October 4. Under The Radar has posted their recent cover story on Charli XCX, who makes her local headlining debut at Wrongbar on November 9. Dev Hynes is a dancing machine in the new Blood Orange video, which also serves as the first taste of his new record Cupid Deluxe. It should be out this year. A Music Blog, Yea interviews The Vaccines. Under The Radar talks to Still Corners. Junip have released a new video from this year’s self-titled album.